The punishment of bank creditors in the Cyprus bailout, and EU plans to “bail-in” the bondholders of failing lenders, mean that bank debt is no longer safe. Investors aren’t fretting – which is a mixed blessing. 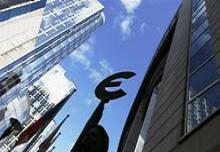 Cheap funds help banks lend. But markets may not always be so kind. European bank investors will be the first in the queue to take losses if their institutions need more capital in the future, according to a draft directive agreed by the European Council on June 27. European Union negotiators agreed on Dec. 11 to bring forward so-called “bail-in” rules to 2016.